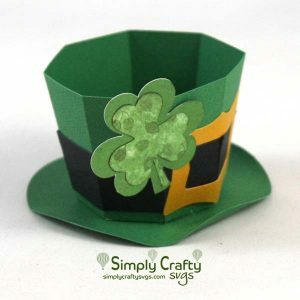 Small treat box shaped like a Leprechaun hat. 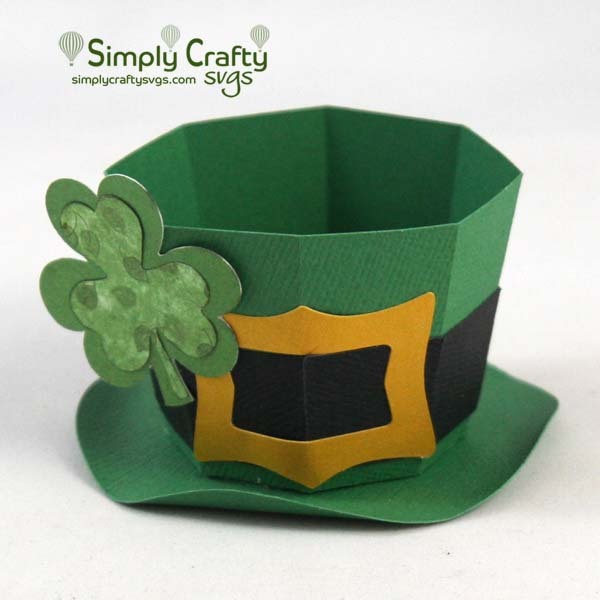 Use the Leprechaun Hat Treat Box SVG File to make a few treat boxes for a St. Patrick’s Day celebrations. 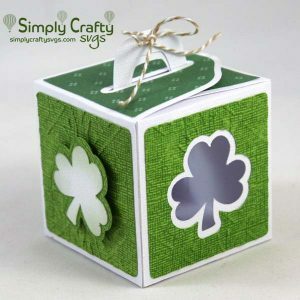 This St. Patrick’s Day favor box can hold candy, like gold coins, or other small snacks and would make a great St. Patrick’s Day party decoration. 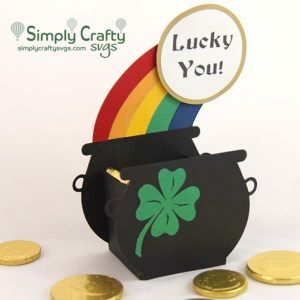 Finished size of treat box is 3.25” x 3.25” x 1.75” high. Box and other box elements can be cut using 8.5″ x 11″ cardstock or paper. 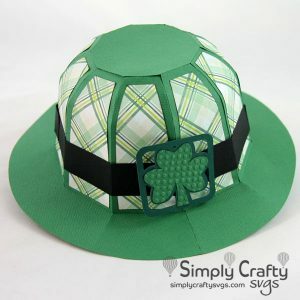 Elements are much smaller.